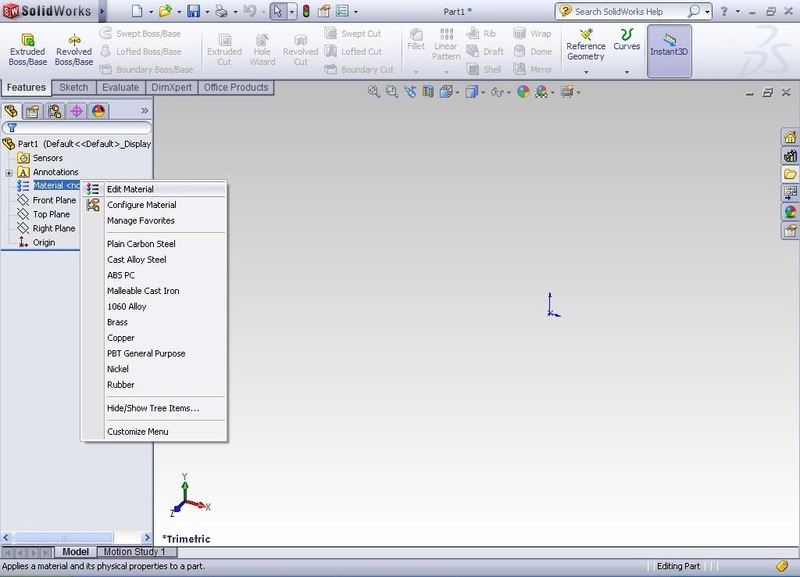 Are you aware that you can actually customize your material properties inside SolidWorks? As known, SolidWorks already has a library of standard materials. 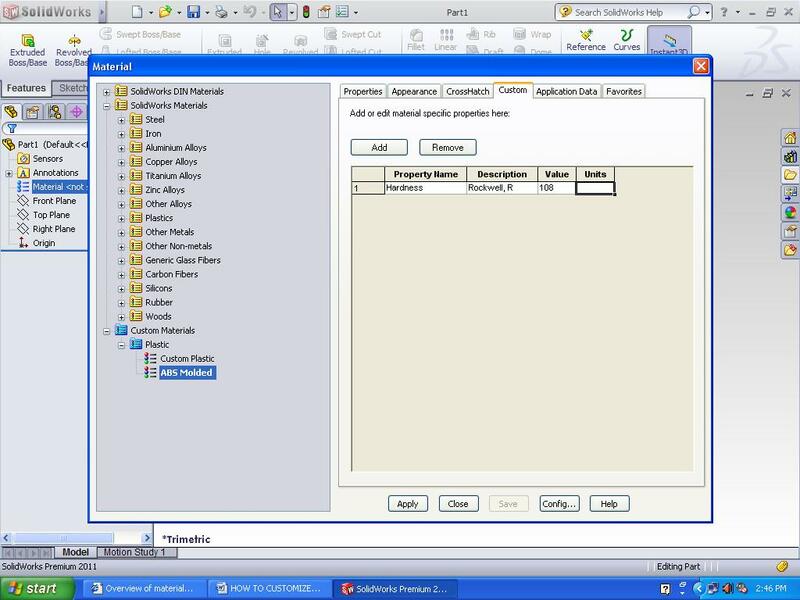 Now, let say you also have your own property library that you get from your customer/vendor, thus you want to use it as the material properties for your modeling. This is not a problem, you can always customize your library to fulfill this need. Now, I will show you how to make this, it is really simple! 1. Open SolidWorks, then open a new Part. 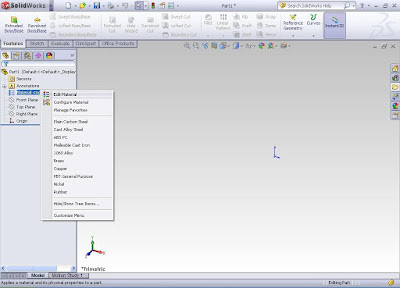 Right click At the Material and select Edit Material. 2. Now, you select the type of materials that you want to customize. In my example over here, I want to customize the ABS inside the SolidWorks Materials (folder)> Plastic (folder)> ABS. 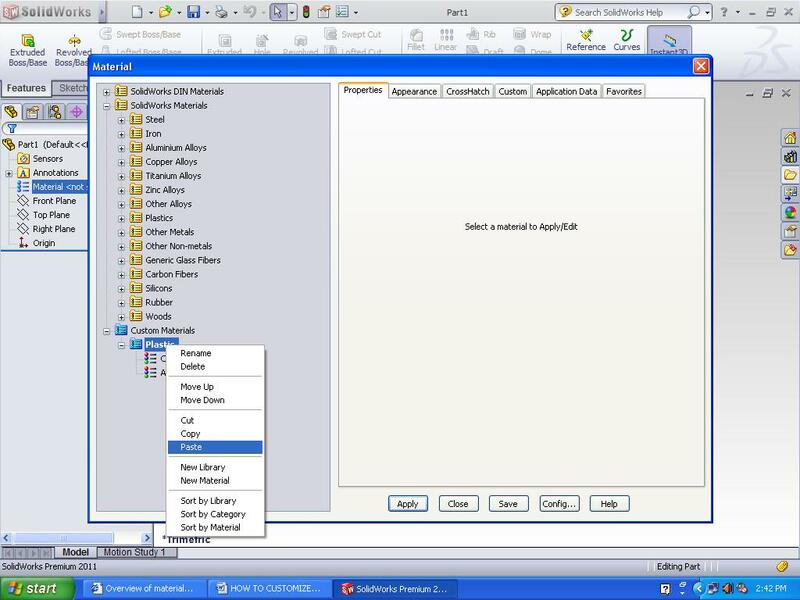 Copy the selected materials using Right Click> Copy. 3. Close the Window and now select the Custom Material (folder). Expand the folder. Paste the ABS material inside the Plastic Category. 4. Click on the ABS and rename to ABS Molded. You can now change the properties of your material. 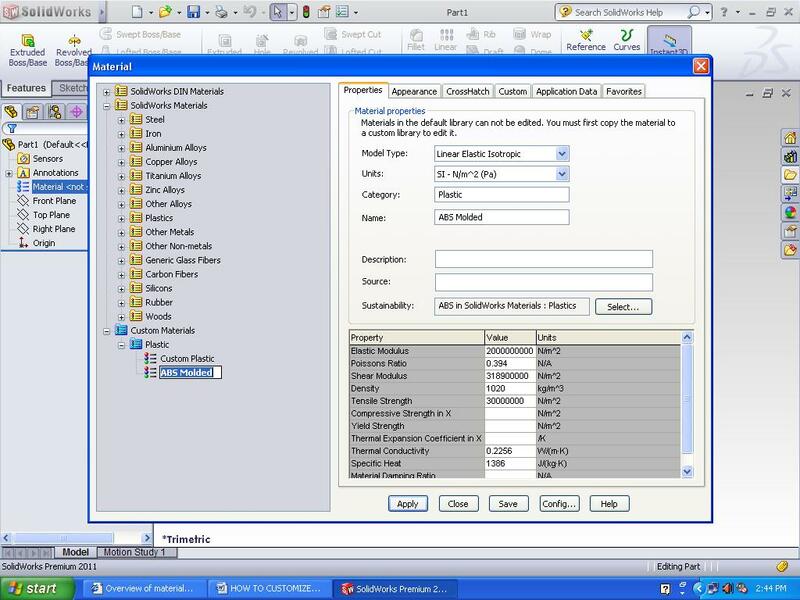 Shown below are the screen shot of how I changed the Yield Stress values and make my custom specific properties. 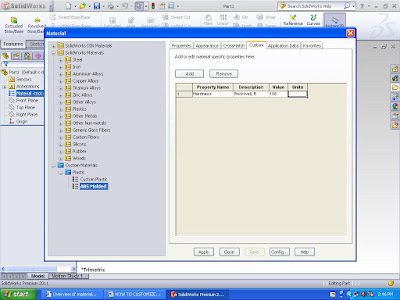 What is the computer configuration required to run Solid works software without hanging?